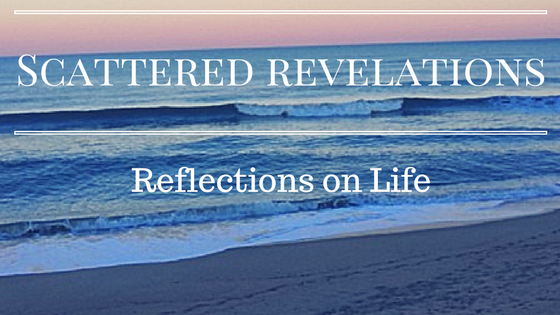 I preached this sermon on Sunday June 28, 2015 at the Unitarian Universalist Congregation of the Outer Banks. Now the story of Jonah may seem like a strange choice for a sermon on saying goodbye and yet it is perfect one to talk about change. It was out of a conversation with Robert Jacobs that I realized it was the perfect story for me to share with you on this my last Sunday. In just a couple of days, I say goodbye to the Outer Banks and hello to a new life in Richmond and you will say hello to David in just a couple of weeks. This is a time of change and it begins as our quote from T.S. Eliot says ‘as things end’. I was like Jonah at first when it came to coming to the Outer Banks. I was uncertain. When Mary Ellen called looking for a guest preacher I knew you were looking for a half time person. I was still looking for a full time job and didn’t want to put myself forward for a half-time position knowing I really wanted a full time job outside of a congregation. Yet like Jonah, things happened a little out of my control and perfect plan. A full time job just wasn’t materializing, another part-time job teaching did materialize and then it seemed to make sense to consider this half-time position while I figured out what to do next. So I told Mary Ellen that things had changed and I would like to explore the position. We agreed to a contract for six months. I even continued to look for a job during that six months, yet once again, it wasn’t yet time. So I signed on for a full year and the rest as they say is history. 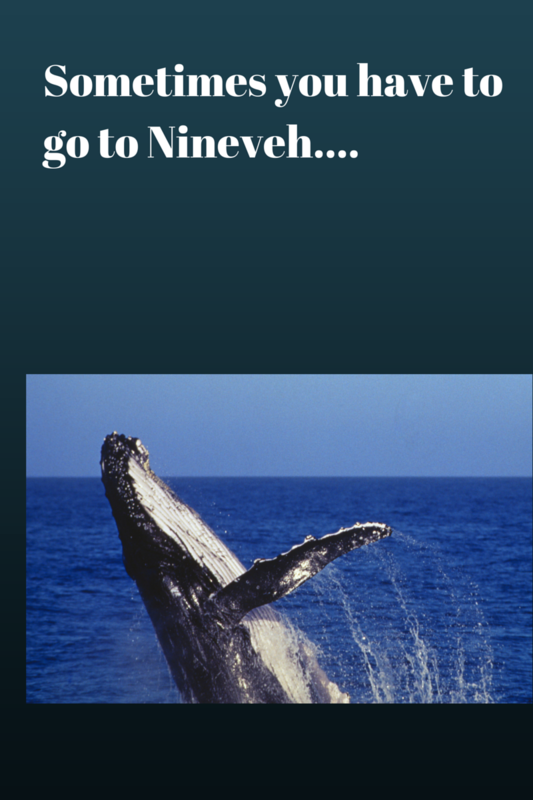 How often in our lives are we like Jonah. We have a plan, a vision for our lives and then something comes up and we turn it away certain that it is not the way. We often go running off in another direction. Then often it takes a storm or some other crisis or disaster to wake us up and to realize that we have to go to Nineveh, that place that is unexpected and often temporary or transitional, is often challenging, usually transformative and becomes that place where we end up learning and loving more than ever expected. 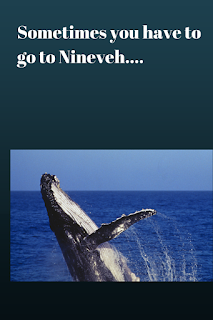 Jonah goes to Ninevah and has tremendous success. The people listened, they didn’t throw him in a pit, they didn’t ignore him, he wasn’t killed - all things that are typically the fate of prophets. They actually listened and did something. Now Jonah’s response to this is be angry and sulk. Now I have to say unlike Jonah I have not spent this year angry and pouting. There were moments when I longed for the simplicity of one job instead of three but overall I lived into being here, being present to my life as it was and not how I had planned it to be. Yet I understand Jonah’s response to his success. Often even when we are successful we find ourselves angry and pouting. Maybe it was successful but not in the way we imagined. Maybe we can only see what could have been better and not what went well (I know I have been guilty of that one on more than one occasion). Often we have a hard time celebrating our success, our joy in work well done. Often we only remember what was hard, what didn’t work or the moments of challenge and pain. Yet life is not all joy and sunshine and neither is it all sadness and gloom. Most of the time it is both - like the sun shining through the rain, like the rainbow after the storm. We had an example on Friday, of this kind of holding of complexity. We watched from our various devices as the news proclaimed that marriage equality was now law throughout the United States and our Facebook feeds suddenly gave alive with rainbow colors. The outpouring of joy was incredible. Then just a few hours later, things changed and we witnessed the deep sadness of our President eulogizing Rev. Clementa Pinckney who was shot and killed along with 8 others in his church by a racist with a gun. I think the President modeled for us how to mourn but also how to re-member both Rev. Pinckney and the work of justice that we are all called to do … not just to talk about but to do. Some of that ‘doing’ has been about taking down the confederate flag, it is not all that needs doing but it is a beginning … for we are reminded that in every ending there is a beginning. So, on Friday, we were shown how to celebrate amidst tears, how to mourn while surrounded by messages of ‘love wins’ … all the while remembering that work is still to be done for true equality to come to fruition … it did not stop with the Civil Rights Movement and it will not stop with Marriage Equality … with every ending whether celebratory or horrendous we must reflect and begin again. So this morning I want to reflect with you on this year knowing that this time held both deep joy as well as sorrow and struggle, let me tell you what this year and half has meant to me. I have been blessed in ways I could have never imagined. This community welcomed me in, welcomed my family in. You made it possible for us to live here during our nomadic period by opening your homes. A moving allowance allowed us to get settled into a place for the year. Tom Wilson from All Saints connected us with the person who rented us our home for the last year. Others of you helped us move our things into our place, last year in the heat of summer (and by the way if anyone wants to help move it out, we will gratefully accept). Others helped with my finding additional employment and I tried jobs I had not done before. I have been stretched and transformed and in such good ways. I have loved the work - worship, pastoral care, working with the search committee and the board - most of all loving all of you. You have shared yourselves with me - the pain, the joy, your questions. Some I have seen in the hospital, one I sat with as she was dying. I cannot put into words how holy a moment it was to sit with Florence as she lay dying. I have had the privilege of serving as your minister and for that I will have a lifetime of gratitude. It is likely that you will be the only congregation I serve as minister. So some of this goodbye today is to you but it is also about closing a particular chapter of my life and my work. This year has given me a clarity about my life that I needed. I heard someone say that often people move to the Outer Banks to put their lives back together. While I am still working on all the pieces, I can see how this time helped me to see my life in new ways and has opened new possibilities. The greatest gift of this year and half has been all of you. Getting to know you, shared meals, shared games, shared worship, conversation. You are a warm and welcoming community and a tremendous gift to the Outer Banks and the larger world of Unitarian Universalism. So now we have to learn to say good-bye. You have had practice with this as you said goodbye to Pat. Throughout our lives we have to learn to say goodbye. Sometimes it is “Goodbye for now” and sometimes it is truly “goodbye.” I remember as I got older and we would visit my grandparents at some point I became aware I needed to soak in my time with them, that when I said goodbye there was always the question of whether I would see them again. Our culture does not do a very good job with goodbyes. We resist them. We deny them. For to say goodbye is to realize that we live while we are dying. We are never assured another hello, another sunrise. I love in the Jewish prayer book that each morning you offer thanks for the opportunity to see another rising of the sun and you ask to see it rest in the west and that when darkness falls you ask for another dawning of light. Each day is a gift and a blessing and we are only assured the moment we are in right now. So it is important that we learn to say goodbye. That we learn to say thank you for this time together. We offer hope that we will see each other again. Sometimes we have to say goodbye and close the door forever. Memorial services give us an opportunity to say goodbye, to remember the joy in the midst of sorrow and grief, and remind us to tell people what they mean to us while we have the chance. Goodbyes are necessary and sometimes we must say goodbye to a person or chapter in our lives or a job or a dream or even a success. With that often comes the paradox of joy and sorrow. We mourn the loss and rejoice in a new found freedom. Today we will say goodbye. I want you to hear and know how much I have loved you; how much I have loved this work. I am so privileged to have had this time with you with all its challenges, its struggles. It has truly been a time of joy and sorrow. It is not easy to say goodbye, there is joy, there is sorrow, there is excitement for what is next and sorrow about leaving you. Yet as May Sarton tells us if we can let go as the trees let go of their leaves, love will endure. Our work has borne good fruit and now is the time of letting go. We will walk into a time of uncertainty, knowing it is necessary and good. This goodbye is the consummation of our work. You asked for a minister to lead you through this time, to help you be ready to welcome a new minister and you are ready. I wish you all the best as you welcome David. You did the work and you are ready to open your hearts to David. Now we say goodbye, grateful for this time ... today, we celebrate amidst tears … tomorrow, we begin again ... and we know that in letting go, love endures.